Hear about our programs, excursions, and history discovered. Our thanks to Appen Media's Herald Newspapers, Gwinnett Daily Post, and AJC for their stories about Johns Creek Historical Society programs, activities, and preservation efforts. 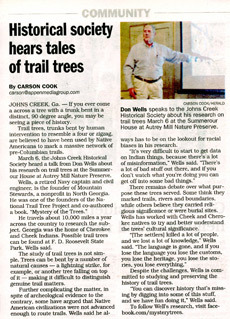 Below, are links to newspaper stories involving the Johns Creek Historical Society.